Did you loose your beloved pet, your furry best friend this year? We understand how hard it is to loose your beloved pet. 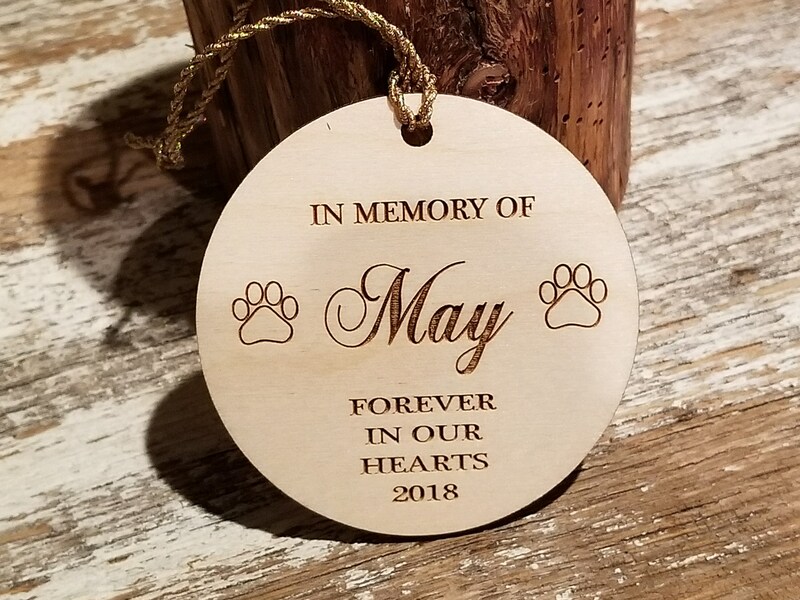 Add this beautiful ornament to your Christmas decor in memory of your beloved pet. 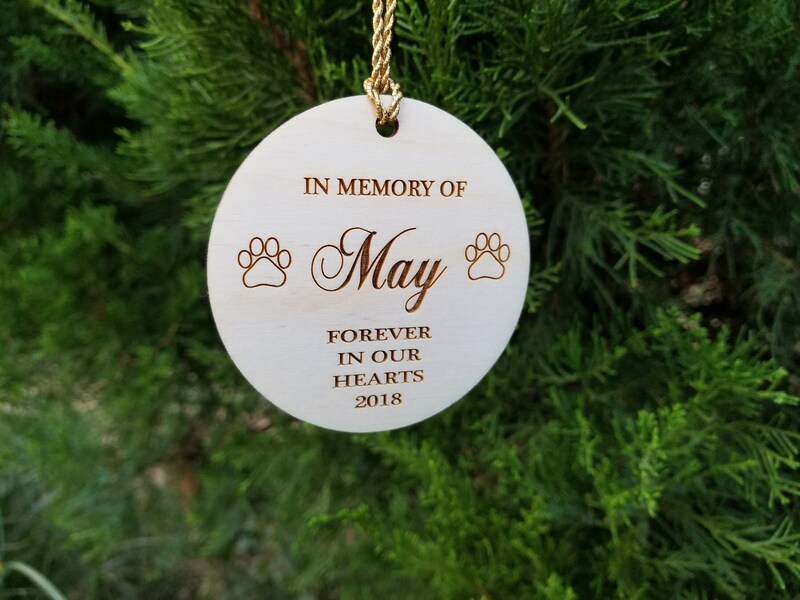 Our ornament is laser cut and engraved by us.